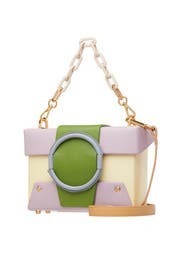 Featuring the chain strap and leather cross-body strap, this Yuzefi bag transforms from a camera bag to a box clutch with the change of a strap for a swift day to night transition. 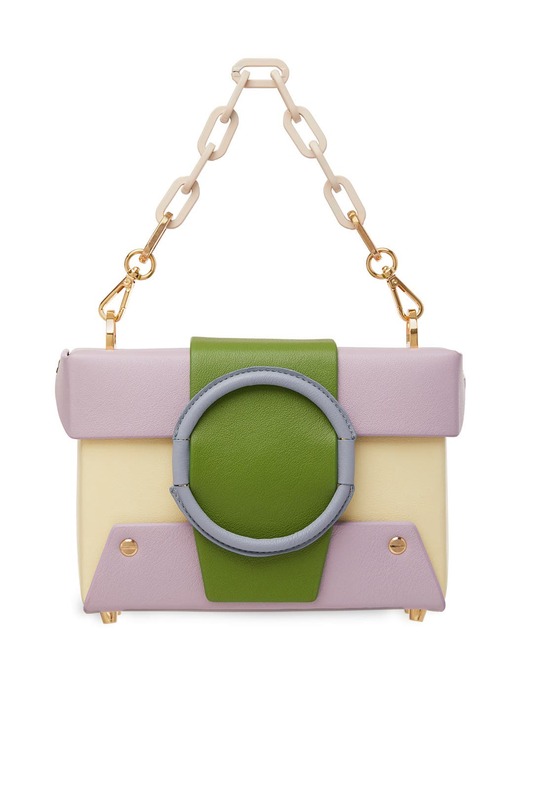 Colorblock calfskin leather bag with chain strap. Magnetic snap at front and interior card slots. 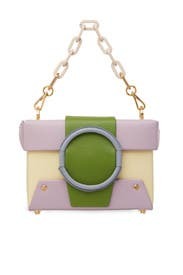 Additional crossbody strap with a 17" drop. 5.25"H x 7.5"L x 2.5"D.